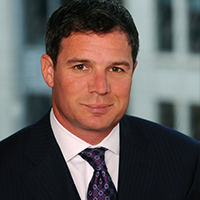 Geoff Freeman is president and CEO of the American Gaming Association (AGA), where he serves as the leading advocate for the commercial gaming industry and is responsible for positioning the association to address regulatory, political and educational challenges and opportunities. Freeman has led a variety of complex and successful issue campaigns during his more than 15 years in Washington. Previously serving as chief operating officer and executive vice president for the U.S. Travel Association, under his strategic leadership, the travel industry enacted the Travel Promotion Act, derailed an assault on corporate meetings and events, and began the march to building an army of one million employee activists.